I've finally reached 300 followers on Twitter so, as promised, thought I would do a little giveaway of some of my work to celebrate! It's only a small milestone but I'm very proud, and really grateful to all of you who have supported me and been following me on the blog and Twitter etc over the last few months. Thank yooooou! Enough chit chat... here's what you could win! - A signed limited print of my Polar Bear illustration on nice textured paper. 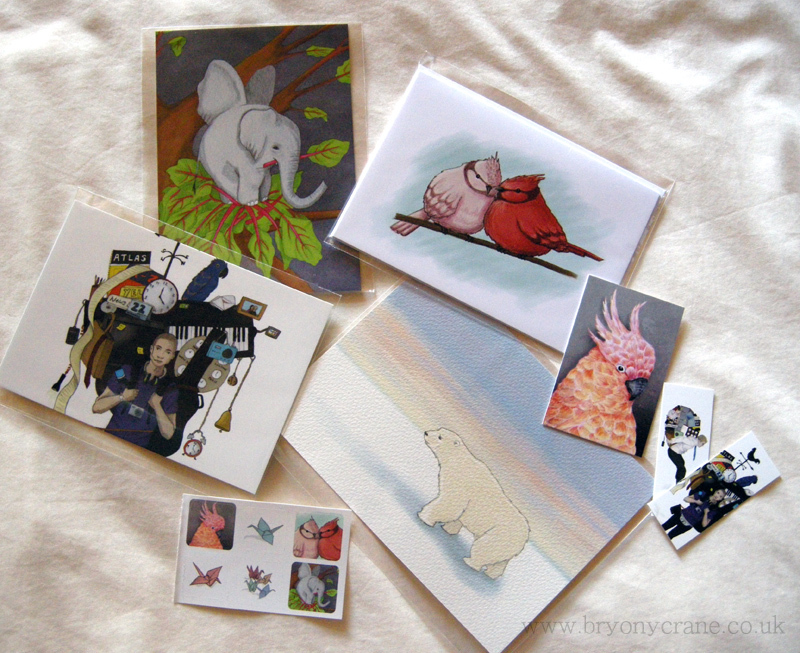 - 2 postcards featuring my illustrations. - A greetings card (with envelope) of my Two Birds illustration. - If you don't have a Blogger account and can't follow the blog, just hop on over to my Facebook page, follow/like me on there and leave a comment on my post about the competition! *drawing may be a struggle over the next fortnight. I love the elephant in the tree. Can't see how to follow blog on phone, will pop back when on laptop. Lovely pictures. I now follow your blog and I also tweeted the giveaway! Nice little package you have there! beautiful work. I like how you used textured paper for your print! Oh wow, your work is beautiful! :D Am following your blog via GFC and have liked your facebook page. Thanks for such a gorgeous giveaway! Beautiful designs. I would love to win. Have signed up for e-mail following and facebook too. Oh I love the illustration of the birds! 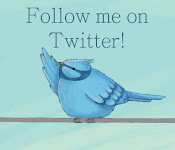 I am following, cute little birds ;) Off to tweet!